Add a massive pop of color and elevate your look. 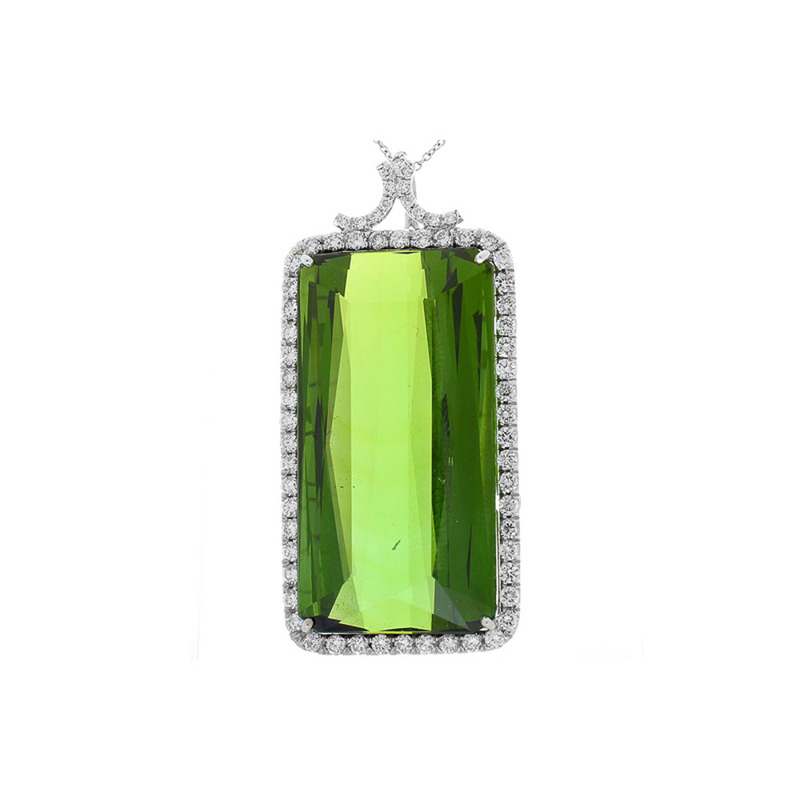 This stunning pendant features a stately 81.0 carat - 34 x 18.50 millimeter green tourmaline. This gem comes from Brazil. The size of the gemstone is noteworthy. The purity and transparency are exceptional. Diamonds surround the striking olive-green tourmaline and decorate the diamond scroll bail accent. Total diamond weight is 1.68 carat. The piece glides gracefully along the chain of your choice and is crafted of enduring 18 Karat white gold.